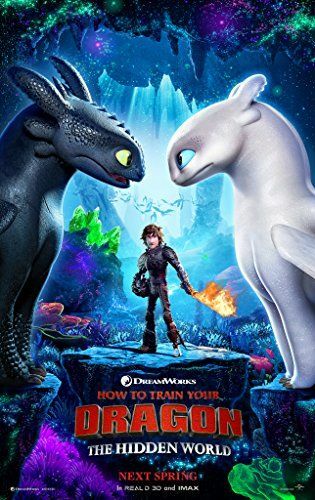 Following the events of How to Train Your Dragon 2, Hiccup continues to rescue dragons with his fellow dragon riders and friends in order to bring them back to Berk and create a bustling dragon and human utopia. Unfortunately, his efforts have also resulted in the island becoming severely overpopulated with dragons. In a response to the overcrowding, Hiccup desires to find the "Hidden World", a safe haven for dragons that his late father Stoick told him about. Meanwhile, a white female Fury dragon, held captive by warlords, is given to infamous dragon hunter Grimmel the Grisly as bait for him to capture Toothless for the warlords' use as an alpha. Read more on Wikipedia.